Our specialist team understands that loss or damage to expensive machinery can be catastrophic for a construction contracting business, regardless of how it happens. Not only do these machines represent a large investment but any resulting down time will further compound the losses to you and your business. 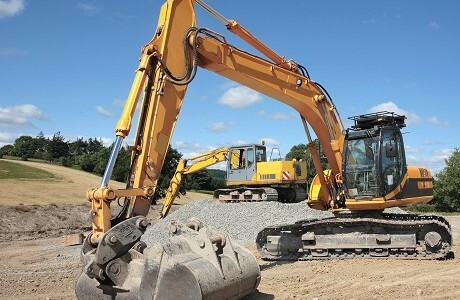 We can help protect you with Machinery and Plant insurance. We offer a personal service that will help you to understand the options and limitations of this type of insurance and, as an independent broker with over 30 years’ experience, we offer you the best possible cover designed for your business needs. Theft from your premises or site, as well as damage by fire or in transit, are common claims that we have insured against in this arena. As specialists, we look at the exact nature of your owned, hired plant and machinery and find the policy that fits. In the event of a claim our in-house claims team will always act quickly and efficiently to settle it. There is no need to choose between experience and personal service. With Kerry London you have both. Contact us for expert, personal advice on your Machinery and Plant insurance needs. Contact us for advice on plant and machinery insurance.